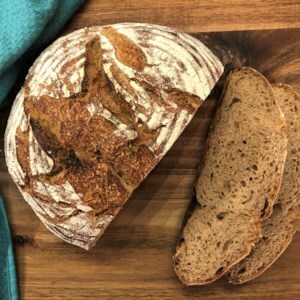 Find healthy, delicious whole wheat bread recipes, from the food and nutrition experts at EatingWell. 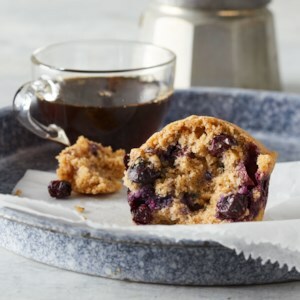 Blueberries and lemon are a natural pairing in these light and airy muffins with a delicate brown sugar crumble. 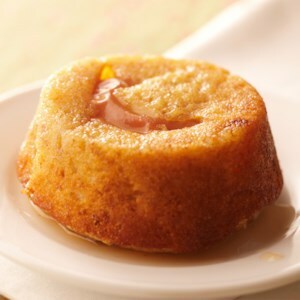 If you like an extra blast of lemon flavor, use lemon extract rather than vanilla. These muffins are best with fresh blueberries, but you can substitute with frozen. Don't thaw them before you stir them into the batter. 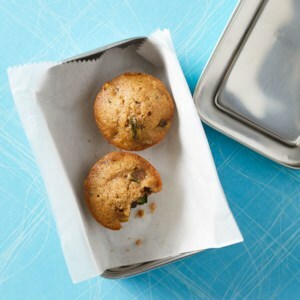 Zucchini muffins with chocolate chips are sure to be a hit with children and adults alike. 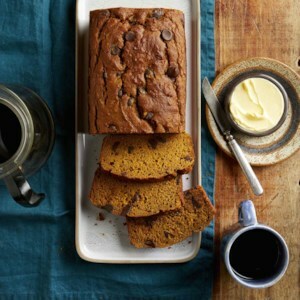 Shredded zucchini adds loads of moisture, and chocolate chips provide a hint of sweetness for the perfect breakfast or snack. 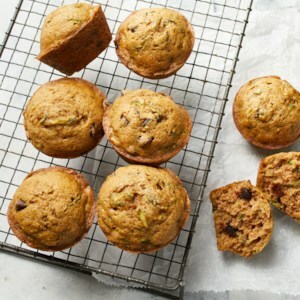 Shredded zucchini provides moisture and texture to these two-bite muffins, while chocolate chips add just the right amount of sweetness. 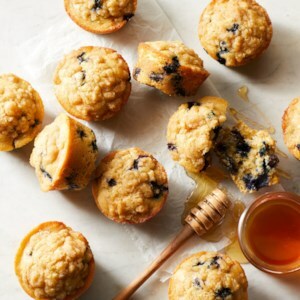 A perfect quick breakfast or after-school snack, these muffins freeze well, so make a batch ahead of time for busy days. 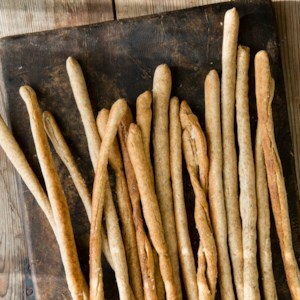 Traditional bagels are made with a yeast dough and boiled before they are baked. 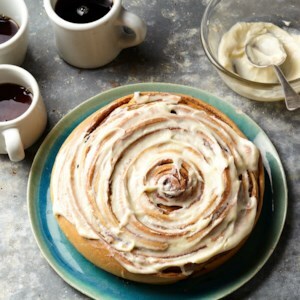 This much faster version uses a two-ingredient dough made from self-rising flour and Greek yogurt, which eliminates the need for a rise time. 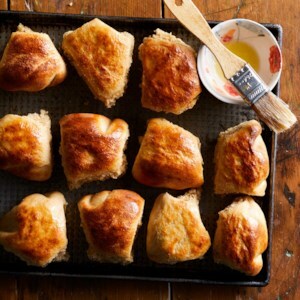 Sprinkle the bagels with your favorite toppings--like everything bagel seasoning--before baking. 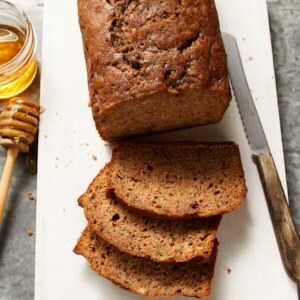 This whole-wheat zucchini bread uses juicy shredded zucchini in place of butter and milk for a tender loaf. 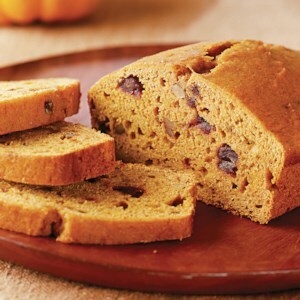 Vegans and nonvegans alike will love how moist this quick bread is. 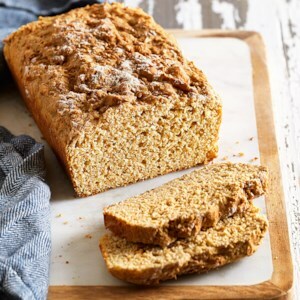 You can add toasted nuts or coconut flakes, if you like. Vegan dark chocolate chips would be an ultra-decadent addition. If you have a little extra time, making these flour tortillas from scratch will elevate taco night. 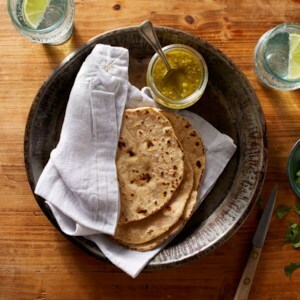 With just a few clean ingredients you'll have delicious soft tortillas that will make it hard to go back to store-bought. 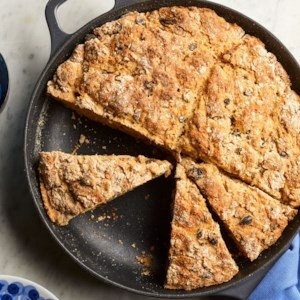 In this healthy whole-wheat Irish soda bread recipe, the addition of fruit and caraway seeds is often referred to as ''spotted dog,'' but you can omit them if you prefer a more traditional Irish soda bread. 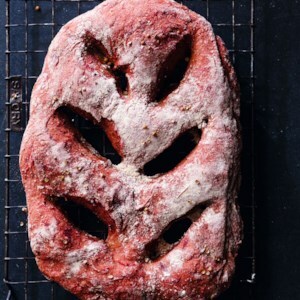 Baked in a skillet, this crowd-pleasing bread is delicious eaten warm with a pat of butter. 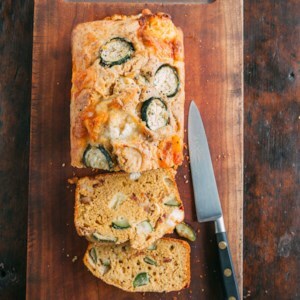 This simple bread makes a great soup accompaniment or breakfast loaf. 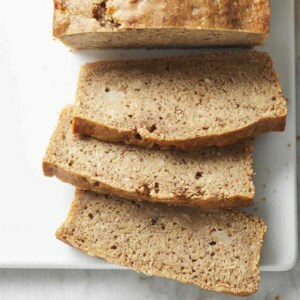 White whole wheat flour adds fiber while keeping it light; flaxseeds add fiber and healthy fats. Put a tasty spin on it with one of the variations below. 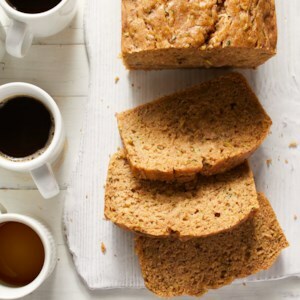 You can serve these cake-like lemon-scented, fruit-packed whole-grain muffins for dessert or brunch.